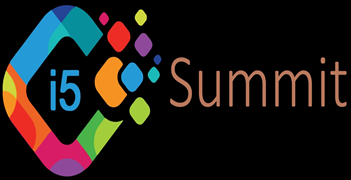 The i5 summit is a one its kind event that goes far beyond just being a summit. It is a celebration of the entrepreneurial spirit and aims to inspire and motivate the entrepreneur amongst all of us. This summit being organized by the IIT and IIM Indore is a result of this unique feature of Indore, being the only Indian city to host both these premier institutes. This largest entrepreneurial confluence of central India celebrates the bustling business spirit of its host city, Indore. With its flagship event “Get Funded” The flagship international pitch venture-raise funding event, i5 aims to be the ideal springboard for budding ideas to take their flight of dreams but there’s more. With a spirit to return back to the society and to give a boost to the social sector i5 always aims to foster the entrepreneurial spirit in the social sector as well and in the past has collaborated with the premier Sir Dorabjee Tata Trust to host the “TATA i5”, aimed at our efforts to turn the best potential social ventures to reality. The Summit has hosted successful entrepreneurs like Ritesh Agarwal of OYO Rooms, Samar Singla of Jugnoo, Kunal Shah of Freecharge, Zeeshan Hyatt of Toppr and Tanmay Bhatt of AIB as well as investors like Anand Govindaluri of Govin Capital and Samir Kumar of Inventus India. With panel discussions and talks featuring Industry stalwarts like Mr. Ravi Venkatesan, Chairman Bank of Baroda; Mohandas Pai, ex-CFO Infosys; Kris Gopalakrishnan, ex-Vice President Infosys and Ronnie Screwala of UTV, the summit also gained international limelight after it hosted Mr. Bibop Gresta the Chairman of Hyperloop. So, today this marquee event, whose former participants like Gaurav Agarwal of Gamezop have featured in the Forbes “30 under 30” list, aims to catalyze the startup revolution in India further and take it to a global stage.